Share your hair, help them stay pretty even during treatment. These are just portion of the ponytails we received. 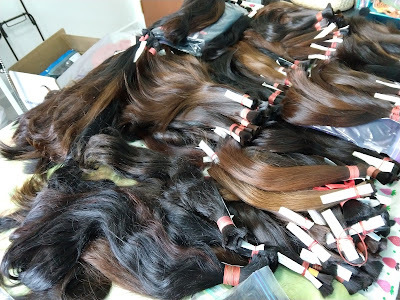 Before we could bring them to the wig maker, they need to be sorted according to their length, texture and colour. More in the box... can you see it? We have raised a total of SGD 13,040 (SGD 12,928.59 after fee deduction from Give Asia). For detailed breakdown, go to 'Our Sponsors' page. Thank you so much for your generous donation to our fundraising. 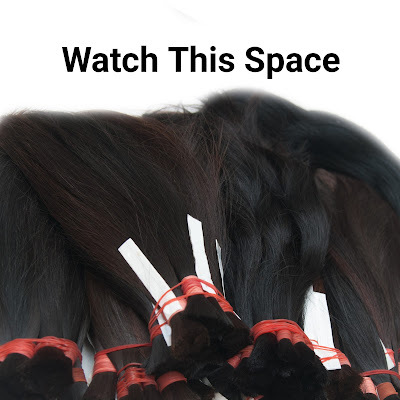 We are ready to send the ponytails to the wig maker! We started our first fundraising last November, hoping to raise enough fund for 50 wigs. That’s around SGD10,000. As of now, we have managed to raise over SGD8,000. We will be starting to make the wigs soon while hoping to reach our targeted amount. We would like to thank everyone who helped in the contribution of our fundraising.